Learn insider tips on how to enjoy a fair-wind sail in Greece from Lavrion through the Cyclades, onto the Peloponnese and return on a south south east wind. Master mariner, Julian Blatchley returns as our guest blogger with the final in his series on the Greek Islands. 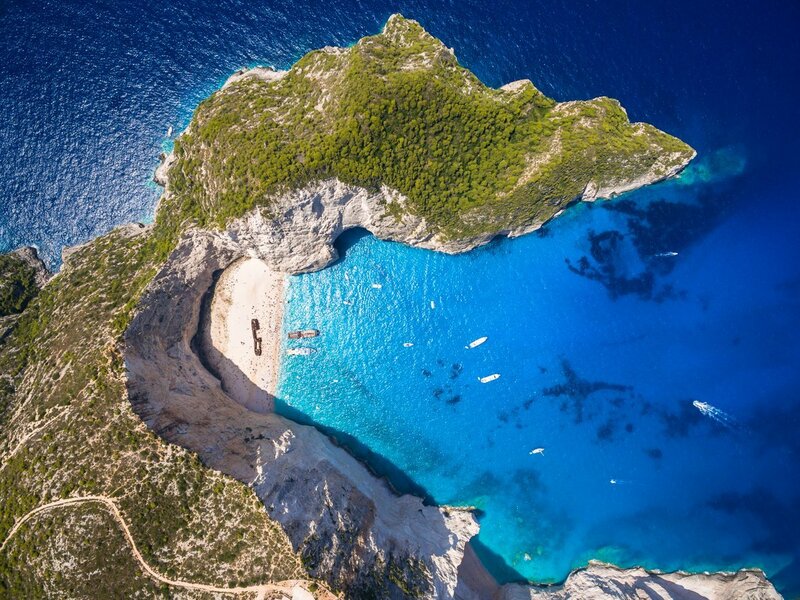 Get to know Greece by reading his previous blogs on Where to Sail in the Greek Islands and Mastering the Meltemi for Exhilarating Aegean Sailing in Greece. The Aegean Sea is an iconic destination for sailors, known for biblical flat-roofed houses, blue domes atop dazzling white churches and octopuses hanging from taverna pergolas. The coast features sun-blasted rock plunging into astringently cobalt sea dotted with the flared bows of traditional fishing boats. This vision of Greece we know well from films, such as Mamma Mia, but there is so much more to the landscape. Lying close to the western side of the beautiful and stylish Aegean islands is the Peloponnesian coast. Here you’ll find terracotta and earth-toned houses sheltering among majestic and soaring crags, where sheer mountains tumble through fertile foothills to meet the sea set before expansive beaches of milky pebbles. 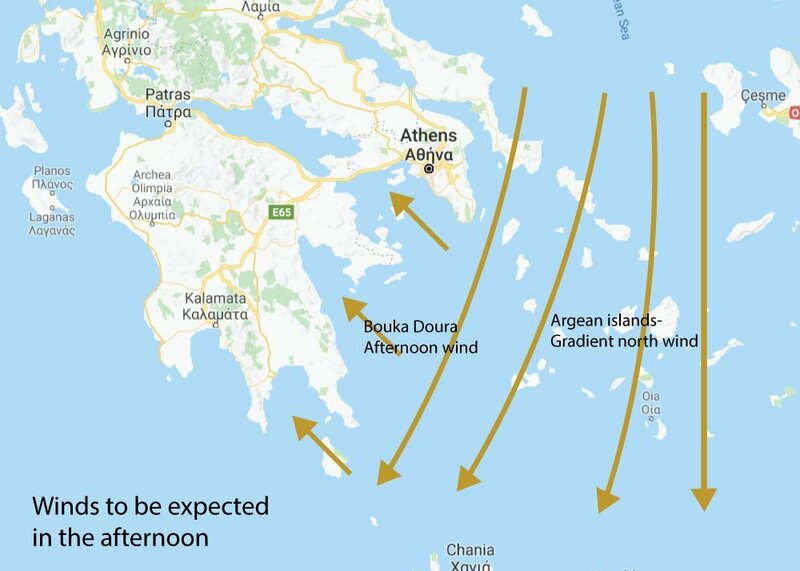 As the scenery changes, so do the winds and including both these contrasting areas in your Aegean voyage will both enrich your experience and make your sailing more enjoyable. So why not keep the winds abaft the beam, and take the more relaxed, fair-wind route? 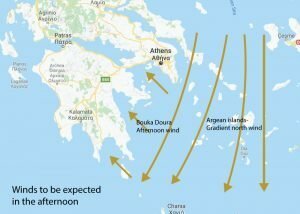 If you are starting your charter from Lavrion and Alimos, close to Athens, using these wind patterns means you can sail a relaxed voyage south through the Cyclades and then, instead of beating back to windward, make a passage across to the Peloponnese coast and return north using the afternoon south south easterly Bouka Doura. 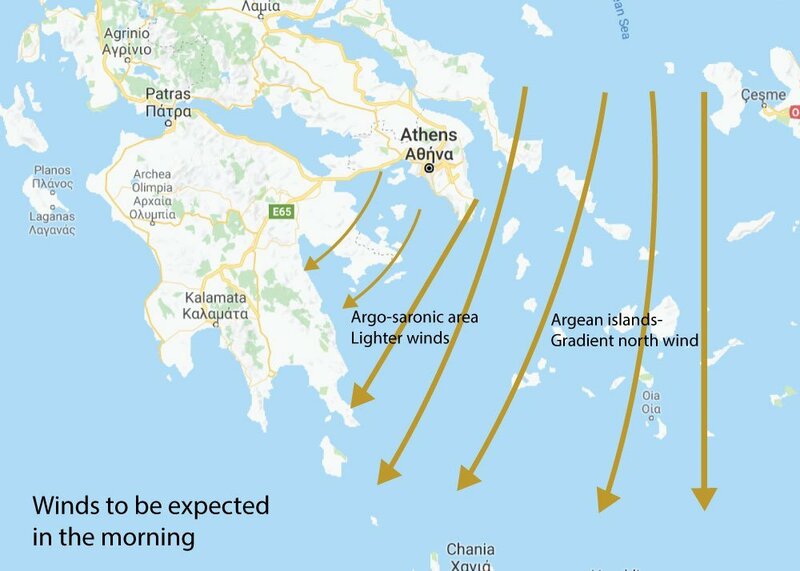 Winds are almost always lighter in the Argosaronic than in the open Aegean, so if you are finding the weather a bit boisterous in the islands, adjust your plan and head for the Peloponnese earlier. 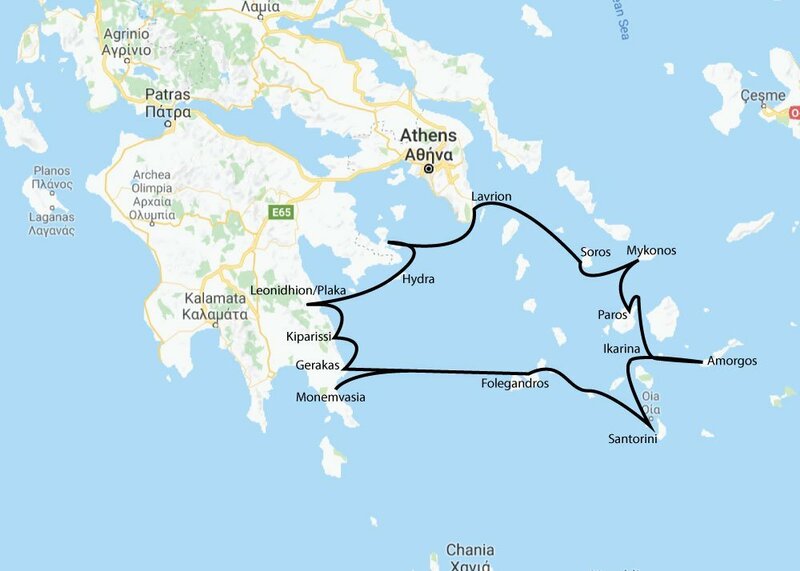 Depending on how far you want to sail daily, this route means you can explore most of the Cycladic islands without having to return hard to windward. A 14-day charter gives you nine days to enjoy the Aegean, four days to return up the Peloponnesian coast to base and one day in hand just in case of any unusual weather. Nightlife, beach culture and chic – Head to Mykonos, Folegandros, Ios, Paros and Santorini. If you like the traditional Greek lifestyle of ouzo, octopus and taverna then make for Serifos, Sifnos, Naxos, Milos, and all of the Mikro Cyclades (the islands just below Naxos). Milos in particular is a very underrated island which has a jewel of a ‘chora’ (or village). From here you can enjoy sunsets as stunning as those seen from the better-known Santorini, and it is a perfect jumping-off point for the Peloponnesian ports of Monemvasia or Gerakas. 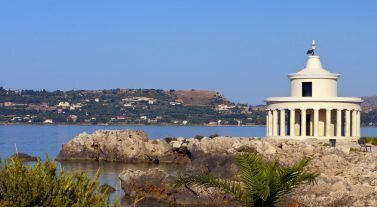 Peloponnesian ports – They have a different style from the Aegean islands. With terracotta tiled roofs and a rather more baroque architecture, these lie on an under-exploited, mountainous and dramatic coastline with attractive white-pebble beaches. They are significantly cheaper and less frantic than harbors in the big-name holiday islands, and enjoy the produce of a very fertile hinterland. Monemvasia – I particularly recommend, the ‘Gibraltar of the East’ with its restored Byzantine walled town. The island of Hydra is a well worth a visit, steeped in history and so well preserved that it is called the ‘Saint Tropez of Greece’. You’ll feel awed the first time you enter the majestic bay of Kiparissi or see the town of Leonidhion clinging to crags in a ravine between two mountain ridges. 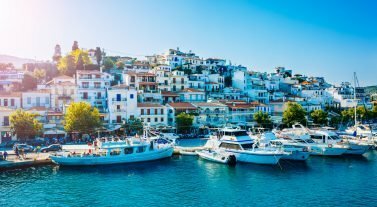 The friendly, bustling archipelago of Poros, the elegance of the old capital city of Navplion and the endless, immaculate beach of Tyros… they are all wonderful destinations. Or Kojak fans may like to visit Gerakas, and see the birthplace of Telly Savalas! On the Peloponnese coast you’ll find a great variety of splendid local produce – fruits, vegetables, fish and meat – and you will dine healthily and well. The Aegean islands are not quite so fertile or rich in resources. Food is still good, creative and well-presented, but not all locally sourced in high season. Look out for a fish called ‘Mayiatiko’- this is a large fish with firm, white flesh served in steaks, delicious with a lemon-and-olive-oil sauce. Another is a cheese called ‘mizithra’, a speciality of the islands and served young and still soft on a Greek salad, in place of the usual feta. Add some of the large, juicy capers the Aegean islands are famous for, and you will never eat a better salad. If you are going to Sikinos, arrive early and feel your way in as there are not many berths in the port, and the bottom shifts significantly. Be prepared to continue to Ios or Folegandros if there is no room. But if you find a place, you will be in a perfect rural island where Greeks take their holidays. The chora (main village) is fabulous and you can take a bus to the Manalis winery. 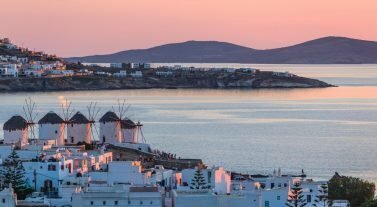 Go there late afternoon, sit on their terraces as the sun sets and watch all the islands of the southern Cyclades fade into the sunset as you drink their crisp rosé. Then go back to chora and feast on the local goat. Fair winds! Julian chartered a sailboat out of Alimos Marina, Athens in the 1980s and slightly over-stayed, returning home in 2014. During the intervening time he worked as a charter and delivery skipper for six years, and sailed a number of his own boats in Greece. He has contributed to sailing guides for Greek waters and is the author of two light-hearted books on the pitfalls of sailing in Greece, Adjacent to the Argonauts and The Trojan Walrus. 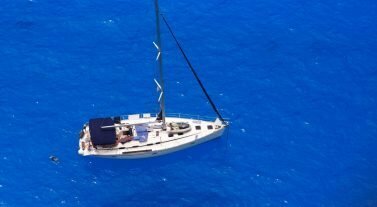 He continues to sail the islands in his 45ft Starrett sloop and will be back with more insider knowledge on sailing in Greece. Take a look at our bareboat fleet, or get in touch with our team. Email us at infona@dreamyachtcharter.com or give us a call at 855.650.8902.